Digital Transportation applications aim to provide innovative services relating to different modes of transport and traffic management and enable various users to be better informed and make safer, more coordinated, and ‘smarter’ use of transport networks. Topics, such as P2P car rental, car/ride/bike sharing, smart parking, real-time traffic/fleet management, multi-modal transit public solutions, mobile applications are only a few examples of application areas. Digital Transportation applications often use open-data and gamification mechanics in order to provide the basis for smart, urban and sustainable mobility in a better environment, society and economy. The global market of Digital Transportation has been estimated to about 6.5 trillion EUR by McKinsey, a significantly fragmented market providing the ground for innovative applications to grow and take a share. The Thessaloniki Summer Academy aims to select 40 high-school, undergraduate and graduate students from all around Europe with an entrepreneurial interest in Digital Transportation applications. The Academy will be held in the South East European Research Centre (www.seerc.org) and the Hellenic Institute of Transport (http://www.imet.gr) with emphasis on interaction, team-work, experimentation, engagement, implementation and testing, coaching from experts and entrepreneurs, visits to ‘hot spot’ areas, etc. Students will get access to state of the art laboratories of the Hellenic Institute of Transport and work hands-on with real-life data sets. The academy will assist future entrepreneurs to form teams, design prototypes from their ideas, develop innovative business models and prepare pitches. 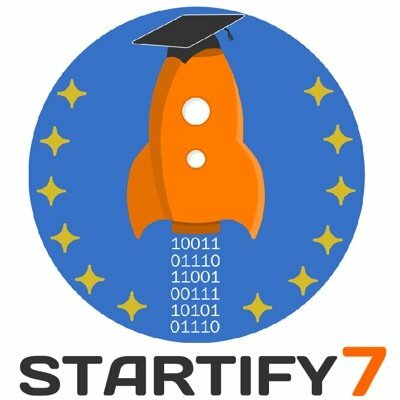 Whether you have technical skills or just an entrepreneurial interest in Digital Transportation Applications, we invite you to join the Thessaloniki Startiy7 Summer Academy! Apply here by 20 May!